One of the main reasons Stainless Steels are chosen for applications is because they are highly resistant to rusting. However many, such as austenitic stainless steels, are relatively soft, cannot be hardened and have poor wear resistance. Both Stainitec and Stainihard deliver hardening onto 316 Stainless Steel. 304 stainless steel is also a common steel that we treat to achieve high surface hardness. You can however surface harden stainless steels by Nitriding or Carburising to create a very hard layer without reducing the corrosion resistance – in fact, in some cases the corrosion resistance is even improved. This provides anti galling, scratch resistance and high surface hardness. These treatments are available from Hauck HT Ltd. and sister company H&ST in Eindhoven, Holland. We specialise in hardening 316 Stainless Steel. The Stainihard® NC process enriches the steel surface with Nitrogen and Carbon to provide a hard, wear resistant layer at the surface. The layer formed is known as ‘S-phase’. Stainihard® NC is a gaseous thermochemical process suitable for processing individual components or large batch volumes. It is also possible to apply a PVD hard coating such as TiN on top of these layers to further enhance wear resistance and friction characteristics. 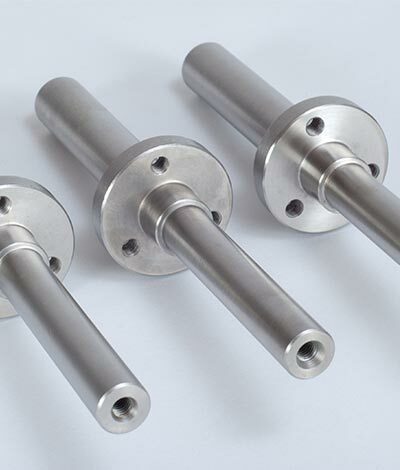 When Stainless Steel is treated with traditional nitriding, for example using salt bath or plasma nitriding, a surface layer is created which consists of a diffusion zone and sometimes also a compound layer. Characteristic to these traditional methods of treatment is the formation of Chromium Nitride (CrN) in this layer, which improves the surface hardness and wear resistance but it is important to note this dramatically reduces the corrosion resistance. In both the Stainihard® and Stainitec treatments the formation of Chromium Nitride (CrN) or Chromium Carbide (CrC) is suppressed and a so called ‘S-phase’ or ‘Supersaturation phase’ is created. These treatments can be coupled with other treatments to provide extra surface properties that are sought, hardness, wear resistance, and other advanced properties - especially for Austenitic Steel. This layer consists of Stainless Steel which is supersaturated with Nitrogen and / or Carbon at the surface. The saturation creates high internal stresses in the layer and the hardness is increased significantly, without reducing the corrosion resistance. In fact the corrosion resistance is often enhanced also. Stainihard® is developed to be applied to austenitic stainless steels. In certain circumstances it also is possible to treat other stainless steels (e.g. Duplex or PH stainless steels).